Be a super-cute sleigh guide this season. 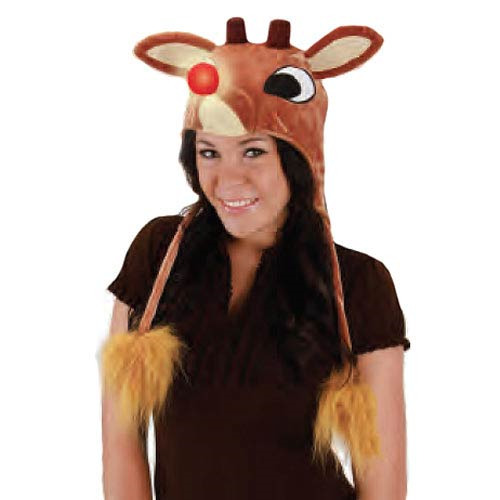 Made to look like the head of the titular character from the classic animated Christmas movie Rudolph the Red-Nosed Reindeer, this cute-as-can-be Rudolph the Red-Nosed Reindeer Light-Up Laplander Hat features a light-up red nose… just like your favorite sleigh guide! One size fits most adults.